Japanese construction giant Obayashi announces plans to have a space elevator up and running by 2050. Once the realm of science fiction, a Japanese company has announced they will have a space elevator up and running by the year 2050. If successful it would revolutionise space travel and potentially transform the global economy. The Japanese construction giant Obayashi says they will build a space elevator that will reach 96,000 kilometres into space. Universities all over Japan have been working on the problems and every year they hold competitions to share and learn from each other.A team at Kanagawa University has been working on robotic cars or climbers.Professor Tadashi Egami said tension on the cable will vary depending on height and gravity. 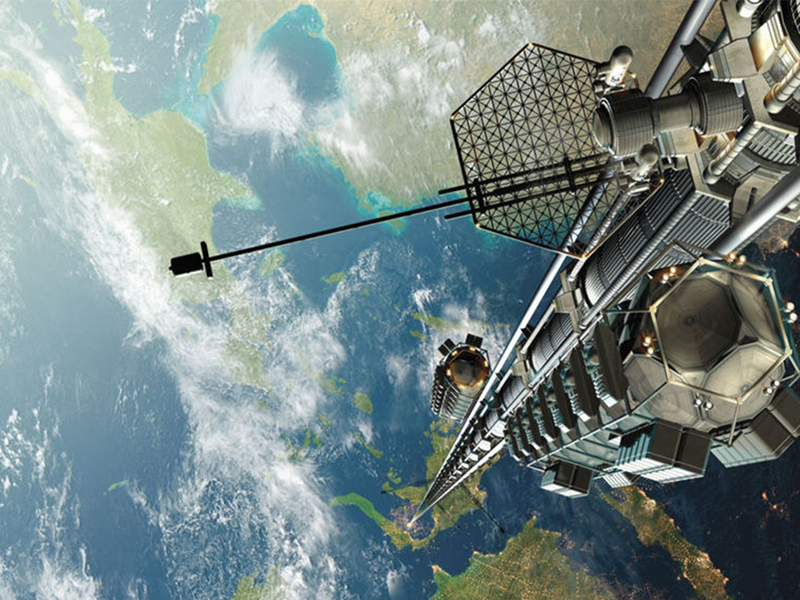 Experts said the space elevator could signal the end of Earth-based rockets which are hugely expensive and dangerous. Using a space shuttle costs about $22,000 per kilogram to take cargo into space. For the space elevator, the estimate is about $200. It is also hoped the space elevator could help in solving the world’s power problems, by delivering huge amounts of cheap solar power or storing nuclear waste. It would also be a boon for space tourism. Obayashi is working on cars that will carry 30 people up the elevator, so it may not be too long before the Moon is the next must-see tourist destination.